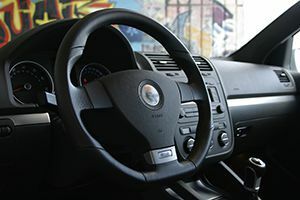 A recent collision involving a 2015 Volkswagen Tiguan has raised new concerns regarding the safety of newer Takata airbags. A June 7th collision between the vehicle and a deer caused a left side airbag to deploy, blowing a metal canister to pieces. This is the first reported incident involving a Volkswagen model, a side airbag, and a newer Takata airbag version. Previously, issues with Takata airbags were limited to older versions of front and passenger airbags. After this latest incident, the National Highway Traffic Safety Administration (NHTSA) has expanded its investigation into Takata. The NHTSA has ordered Takata and Volkswagen to provide information regarding the crash and airbag safety tests. Are more Takata recalls to come? The agency's investigation questions if all airbag systems using ammonium nitrate as a propellant should be recalled. So far, the problem involving the Volkswagen Tiguan is limited to one isolated incident, but given Takata's history, more recalls could occur in the future. Under pressure from the U.S. government, Takata doubled previous recall numbers to 33.8 million airbag inflators. The Takata airbag recall is the largest automotive recall in U.S. history. Across the globe, 11 automobile manufacturers have recalled approximately 57.5 million vehicles which contain Takata airbags. Takata believes the airbag inflator malfunctions are a result of aging and exposure to heat and high humidity levels. Volkswagen stated that the Tiguan incident is believed to be unrelated. Takata airbag inflator malfunctions have caused eight deaths and more than 100 injuries. If you have been injured in an accident due to a faulty Takata airbag, contact Phillips Law Group today for a free case evaluation. Our experienced legal team will actively pursue your claim in order to recover maximum compensation for your injuries. To contact an injury lawyer Phoenix, call 1-800-706-3000 or complete a free case evaluation form.